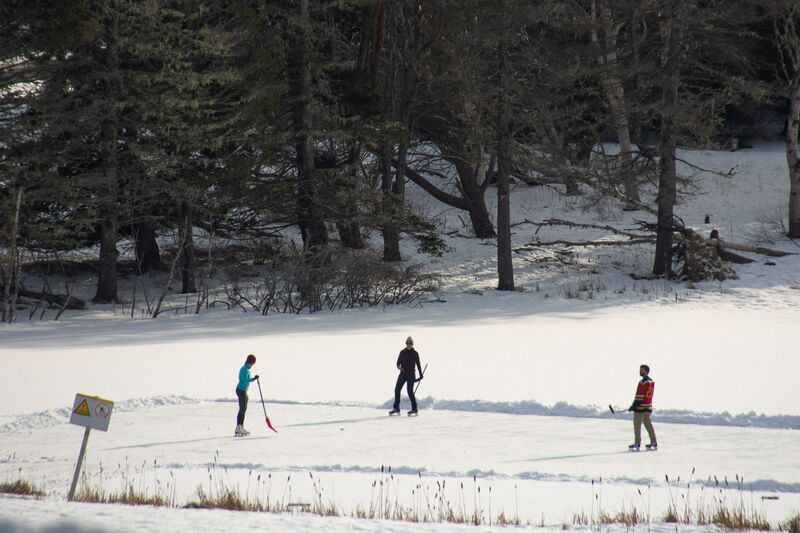 When we drove up the hill from Alma and got a view of the bowl and the pond, we saw this idyllic view of people gently skating and clearing the snow as they went . It looked like it was right out of one of those Hallmark movies. The sun was out and it was warm. I didn’t even need my gloves all the time. Fundy recommends skating at your own risk inside the park so if you do just take the proper precautions and bring your shovel! There is also a public rink up and running down in Alma as well if you’re not sure about the pond. We then walked over to look at the water and the view of Joel’s head. It is still picturesque even in winter. You can hear some birds and water lapping on the shore. 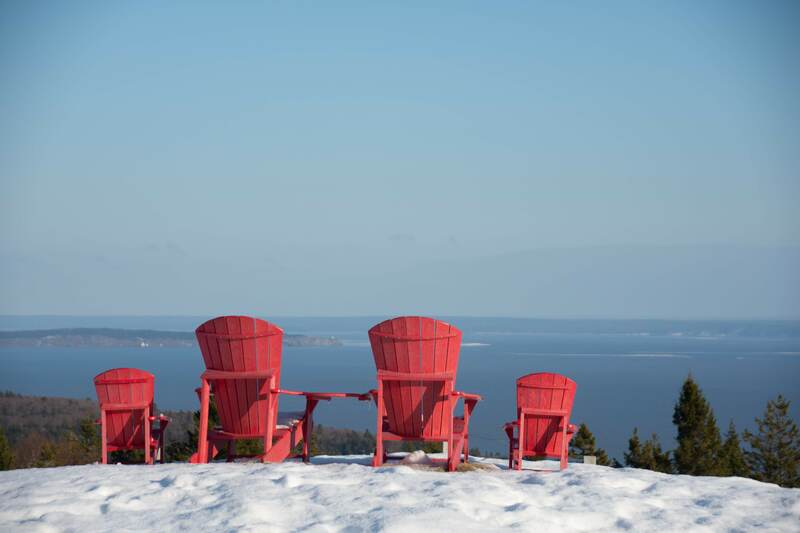 The iconic Parks Canada red chairs were free of snow. You could have wrapped up and enjoyed a few minutes of serenity and fresh air. 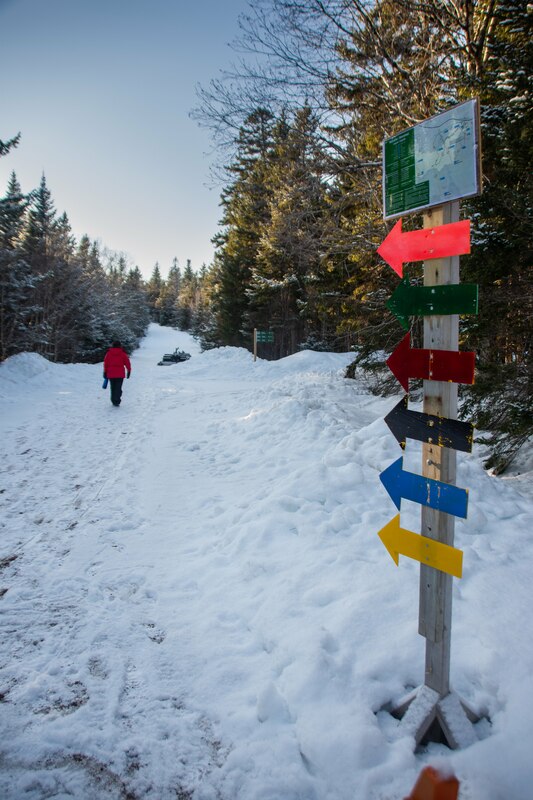 The great part of Winter in Fundy is that there are facilities open when necessity calls or you just need to warm up. The Visitor Center is open from Thursday – Monday from 10:00 -5:45 and Tuesday & Wednesday from 8:15 – 4:15. 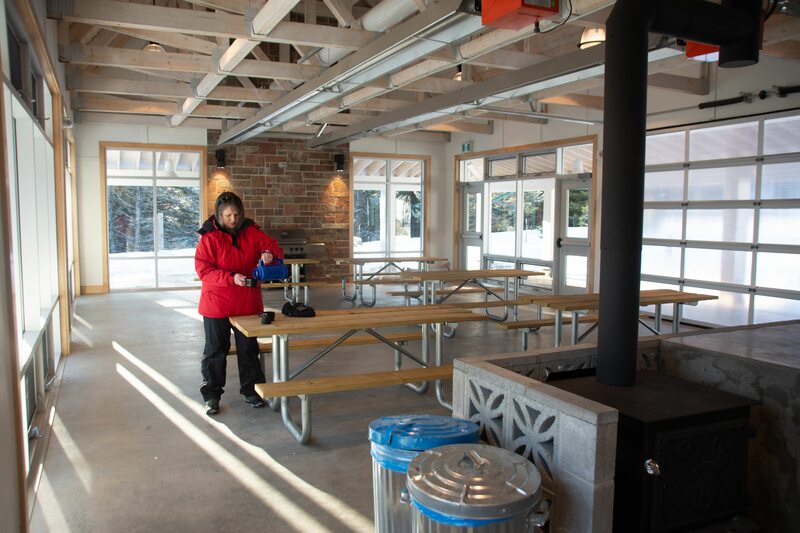 This is also where you will go to get a day pass , check in for your accommodations, or to rent snowshoes. They can also update you on trail conditions but I found it handy to check their website last week as it gives an up to date report there and you can do your online reservations from their website as well. There were some kids sliding on the bowl hill while we were there. We have had fun with the kids there as well. 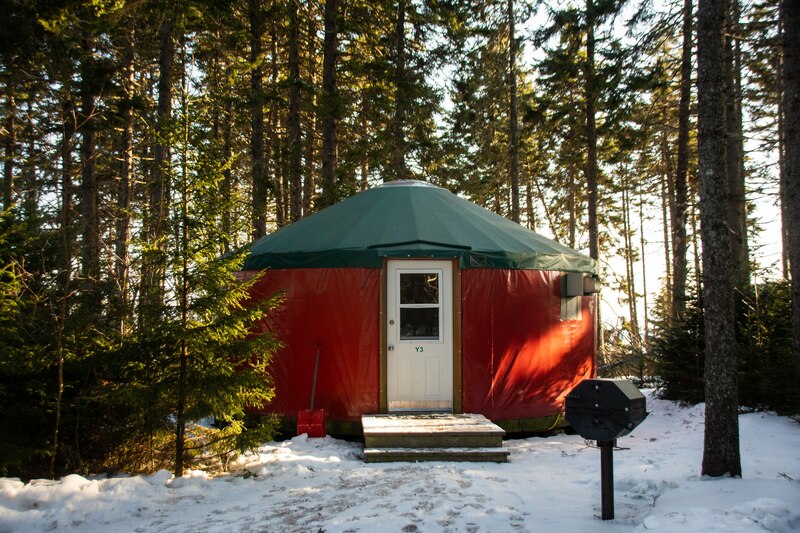 In behind the Visitor Center is Headquarters campground where you will find places to pitch a tent if you are real adventurous or you can rent one of their Yurts or oTENTiks. There are shelters with wood stoves, wood and lockable storage units. 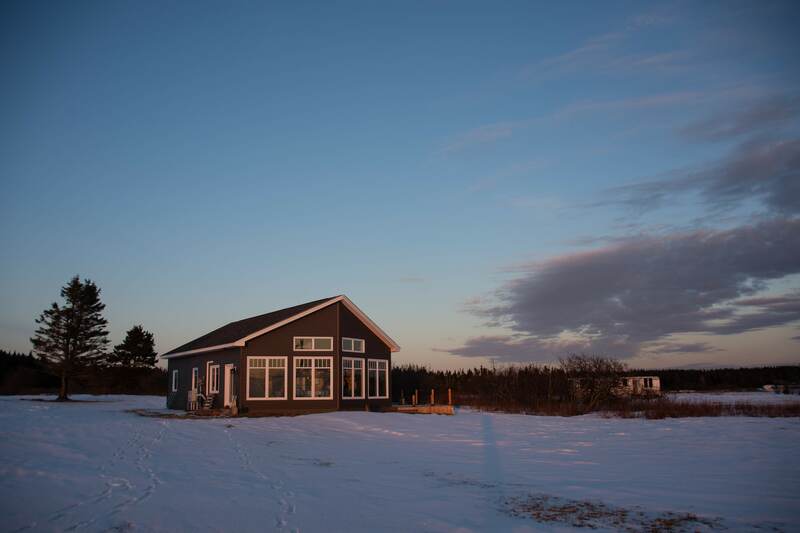 There is also drinking water, heated washrooms and showers available nearby. Most of the sites that these units are on offer a lovely view. We could even hear the water from this spot! Further up the hill a couple kilometres you can stop off for the magnificent view of the Bay. You can see over to Cape Enrage and beyond. There were a few little ice flows out there but it still looked good for the fishermen who still work all winter to provide us with yummy lobster. Another kilometre or so you will reach Chignecto campground but turn left to go into the new pavilion that was constructed and used this past season. It is a wonderful multi-purpose facility designed to be used in all seasons. It was wonderfully toasty in there, perfect for a little mug of hot chocolate after an excursion of Fat biking, snowshoeing or skiing. I even had someone to share it with 🙂 . In addition to these groomed trails there are ungroomed trails at the East Branch , Caribou and a portion of Upper Salmon river trails ( at Headquarters). Outdoor Elements in Sussex ( who are also the outfitters for outdoor activities in the summer at Fundy- see previous post here) offers Fat bike rentals and they will even deliver them to the park for you. Just check out their website or give them a call at 433-3060. Give them at least 24 hours notice to make sure they can accommodate you. Good bye Heron’s Watch on the Road to Waterside! We were inspired to get down here more often in the winter and we hope you are too!! 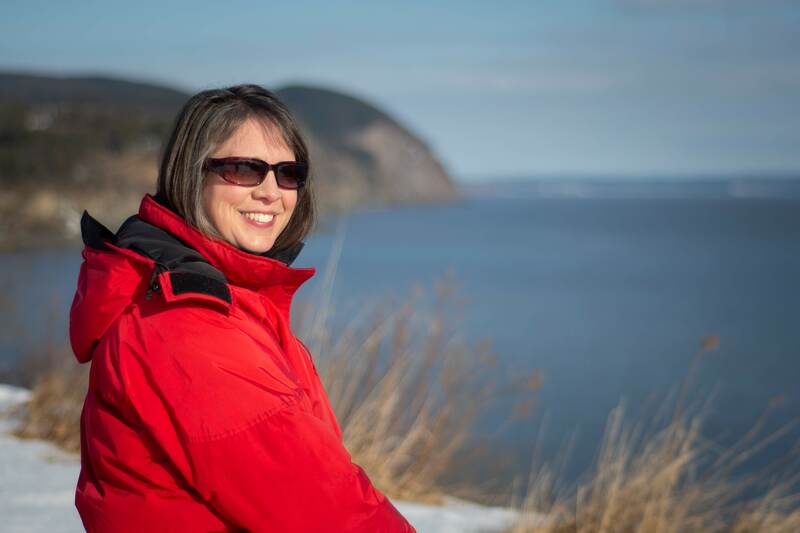 Check out the Fundy Guild’s Facebook page for details on the events they have planned at Fundy on Family Day this year, February 18th, with Outdoor Elements, Hopewell Rocks, Cape Enrage, Fundy National Park and Fundy Biosphere Reserve. 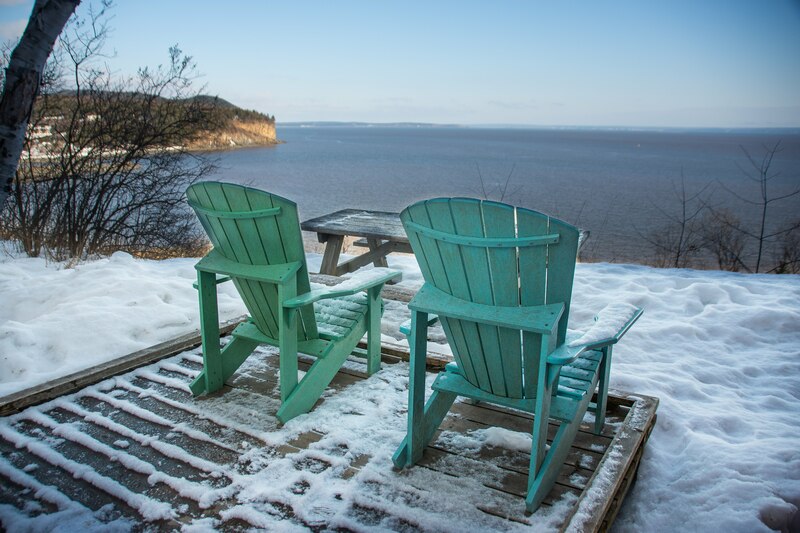 This entry was posted in Albert County, Cottage, Touring, Uncategorized and tagged cabin, Fat biking, Fundy, skiing, snowshoeing, waterside, winter by Sheila. Bookmark the permalink.